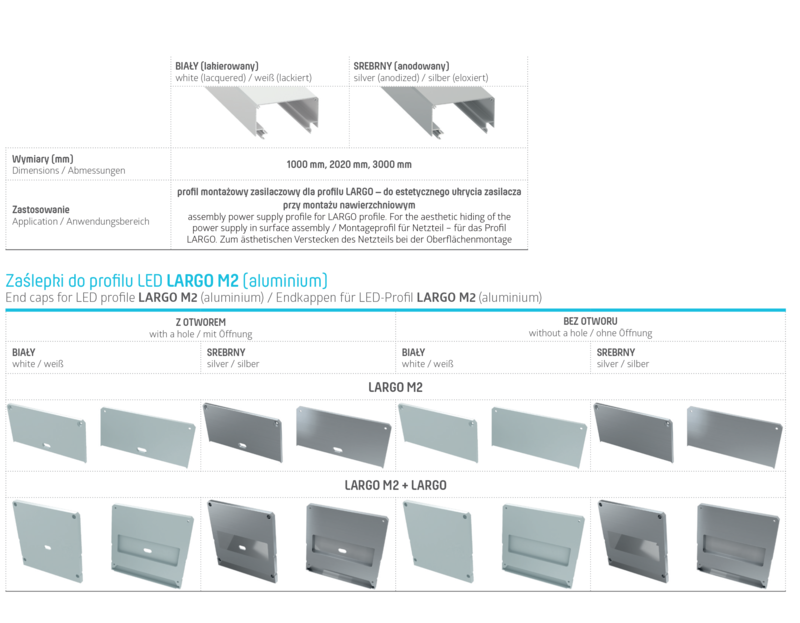 Lumines LARGO M2 is one of the mounting profiles designed for LARGO surface profile. It is an assembly power supply profile for LARGO profile. For the aesthetic hiding of the power supply in surface assembly.